A total of 114 women won their races in the midterm elections on Nov. 6. This newly-elected Congress includes the largest group of female legislators in the history of the United States. Photo from Pew Research Center. As you may have seen on television, social media and on the side of the road, we have just surpassed the midterm elections, which occurred on Nov. 6. This election was quite important for American politics, as it determined who would take control of Congress. Under our Republican Commander-in-Chief, President Donald J. Trump, the American Congress held a Republican majority prior to the midterm elections. However, that slightly changed; now, following the election, Republicans remain in control of the Senate, while the Democrats seized a minor lead in the House. Minority representation in Congress will grow after the midterm elections from 19 percent to 34 percent. Currently, approximately one in five members of the House and Senate combined are of racial or ethnic minority. Photo from Pew Research Center. For the House of Representatives, all of the 435 Congressional districts across the United States were up for reelection. 26 Republicans lost seats in the reelection to Democrats, causing the Democratic Party to take control of the House. Election results are not final, but as of Nov. 26, the Democratic representation in the House rises to 233, with the Republicans falling to 200. Like all races in this election, the House races are particularly neck and neck, which is what makes this election such a nail-biter. As for the Senate, 35 seats out of 100 were up for reelection. Prior to the 2018 midterms, the Republican Party held the majority. The party still holds the majority even after the elections. It is apparent Republicans could increase their control, but it is early to tell; there are still two Senate races that have not submitted their final results. Florida and Mississippi are both taking their time: Florida due to the too-close-to-call race between two candidates, and Mississippi due to its “jungle primary” election system. Voter turnout for this election was nothing short of enormous. Historically, midterm elections average approximately 40 percent of eligible voters, according to the United States Elections Projects website. However, this past midterm election, close to 50 percent of the nation’s eligible voters practices their right to vote, most notably 61 percent in Wisconsin, 62 percent in Colorado and 64 percent in Minnesota according to the United States Elections Projects. There are many speculations as to why this occurred, one in which lies a paradox; President Trump has been portrayed by many in the media as a bigot, racist, aristocratic leader that is destroying our democracy. However, according to the Pew Research Center, President Trump was the the deciding factor for a majority of the voters. 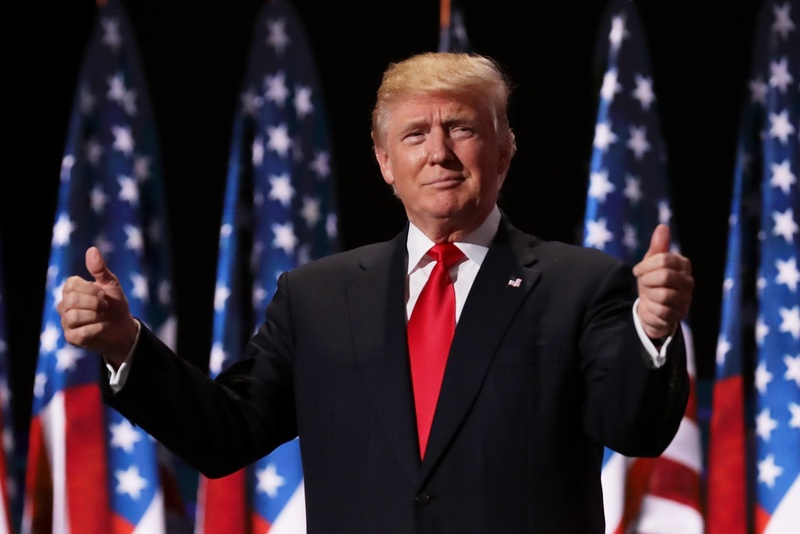 Whether it was a general dislike for his accomplishments or praise for his achievements, he pulled 67 percent of the voters to the polls, according to the Pew Research Center. President Trump is causing the citizens of this country to leave their homes and practice their constitutional right to vote, ultimately epitomizing the essence of an effective democracy. Pictured above is Donald Trump, the 45th president of the United States. For the first time in his presidency, Trump, a republican, will face a House of Representatives that is controlled by the Democratic Party. Photo from fortune.com. Furthermore, it is in the dimension of minority representation that greatly popularized this election. 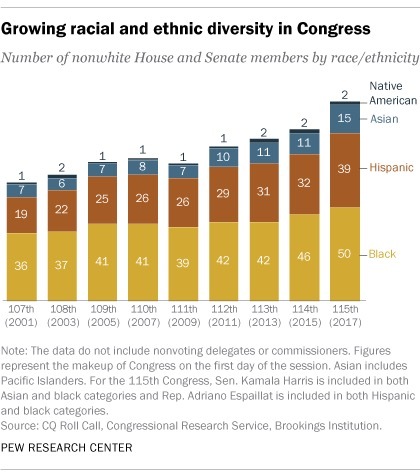 The forthcoming Congress will be the most diverse Congress in United States history. Approximately one in five members of the electoral college (that is the House and Senate combined) are of racial or ethnic minority, according Pew Research Center. The current number of minorities present in Congress lies at 19 percent. However, according to the Pew Research Center, the impending, newly-elected Republican and Democratic individuals will increase that number to 34 percent, more proportionate to the 38 percent of minorities living in this great nation. Minority representation is not the extent of this historical election, however; more women will be in Congress than ever before. According to the History, Arts and Archives website, throughout the history of the United States Congress, a total of 330 women have attained positions. According to the Center for American Women in Politics, 258 women ran for Congress and won in the primaries back in March. 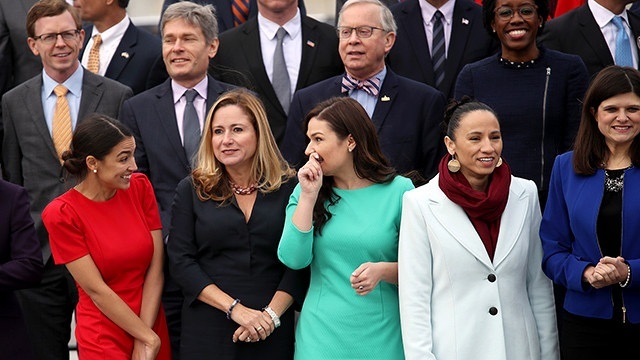 And now, 114 women have won in the general election, making the 116th Congress encompass the largest group of female legislators in United States history. What does this mean for America? With the shift from a Republican majority to a Democratic majority in the House, this means more gridlock. Less will get done, effectively hindering a productive administration. However, the Nov. 6 election was significantly historical in terms of minority representation, gender representation and voter turnout, leading our country down a path that inevitably concludes with the becoming of a more perfect nation.